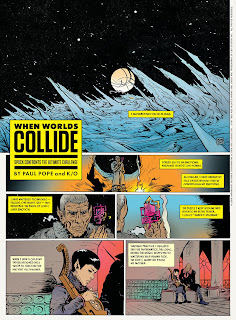 Those lovely people at Wired magazine seem to like to post their content online, which includes all six pages of their little new movie tie-in comic "When Worlds Collide: Spock Faces the Ultimate Challenge"
Aaaand they've also put up some concept art for the Delta Vega big-red-ice-monster-thing from the movie. Coool. Hi again. Do you have the other pages of this comic in full size? I've been looking everywhere for them... Thanks!